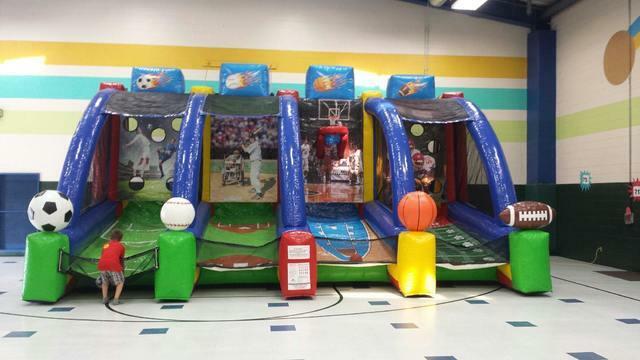 This inflatable rental is great for 1 child or a group of children. Have fun testing your skills or competing with friends. This is 4 major sports anyone would love to play! The 4 Station Inflatable Sports Game Rental is great for backyard parties, birthday parties, coporate event, and church or school event. So, are you ready for four time the fun? Reserve yours today!